Every day, AutoZoners will do whatever it takes to help you deliver the highest quality service, manage your shop efficiently, train your technicians and maximize your profits. We have an expert field management team and experienced Territory Sales Managers who are knowledgeable and dedicated to you and your business. NATIONAL ACCOUNT PRICING - Off-Invoice discount program designed to save you money in the categories you buy the most. Activate your account with AutoZone and IPG today at: IPGAuto.com! Through AutoZonePro.com or your shop management system, a Commercial Sales Manager will receive your order and have it on the way to your shop without you ever making a call. 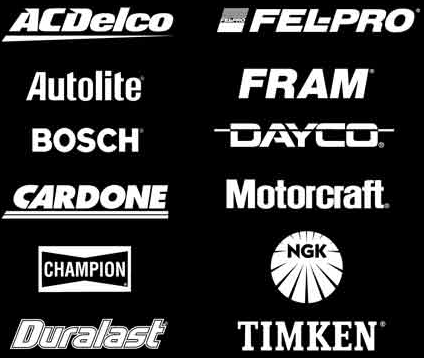 You can depend on AutoZone® for high quality parts — the brands you want from the manufacturers you trust. You can be sure AutoZone is always ready to give you the support you need to help you manage your shop and keep your customers satisfied. Actually brings business to your shop. Managed by a dedicated in-house credit department to deliver excellent customer service. With more than 750,000 product level SKUs in over 70 distinct categories. Constantly updated within our supply chain in response to customer demand. To help you manage your shop better. CONTACT THE AUTOZONE SALES CENTER TODAY AT 1-866-727-5317 OR EMAIL SC53@AUTOZONE.COM AND BEGIN TAKING ADVANTAGE OF THE BENEFITS AUTOZONE'S PROGRAM OFFERS YOU! Net purchases are defined as purchases, excluding: oil, antifreeze, refrigerant, tools and equipment purchases and outside buys, credits, returns, penalties, rebates, allowances, other incentives and any and all unpaid invoiced amounts. **48-hour response guarantee does not apply to claims over $1,000 or claims requiring product testing. Contact your AutoZone Commercial Sales Manager for details. ***72 hour core deferral does not apply to engines, heads, crankshafts, transmissions or outside buys. Core charge deferral is available only to qualified delivery customers. ©2010 AutoZone, Inc. All Rights reserved. AutoZone and AutoZone & Design are registered marks and Going The Extra Mile is a mark of AutoZone Parts, Inc. All other marks are the property of their respective owners.